If your home has space, you might be looking for boot room ideas. And why not? Boot rooms, however small, are ideal for keeping muddy shoes (and children, and dogs) and their mess confined to one, easy-to-clean space, away from the kitchen, hallway and the rest of the house. Use these boot room ideas to inspire your new room, and find out all about the practicalities with our guide to designing a boot room? Find out how to create a utility room, too, if you're planning to combine the spaces, and don't miss our small-space tips if your boot room will be part of your hallway. Made to measure furniture allows for personalised boot room storage with no restriction on furniture shapes and sizes and the added benefit of a huge range of wood or painted finishes to choose from. It also allows you to use every available inch of space in a practical way. For a flexible boot room ideas that you can take with you when you move, choose freestanding pieces. Bench seats, coat racks, shoe storage solutions, umbrella stands and assorted baskets will all come together to create a supreme storage solution. Whichever boot room storage options you choose, ensure they are easy to clean and made of durable materials, remembering that they will be regularly covered in mud and – if you've got children – assaulted by shoes coming roughly in their direction. Got a dog? Work in a space for storing leads, bags and balls. 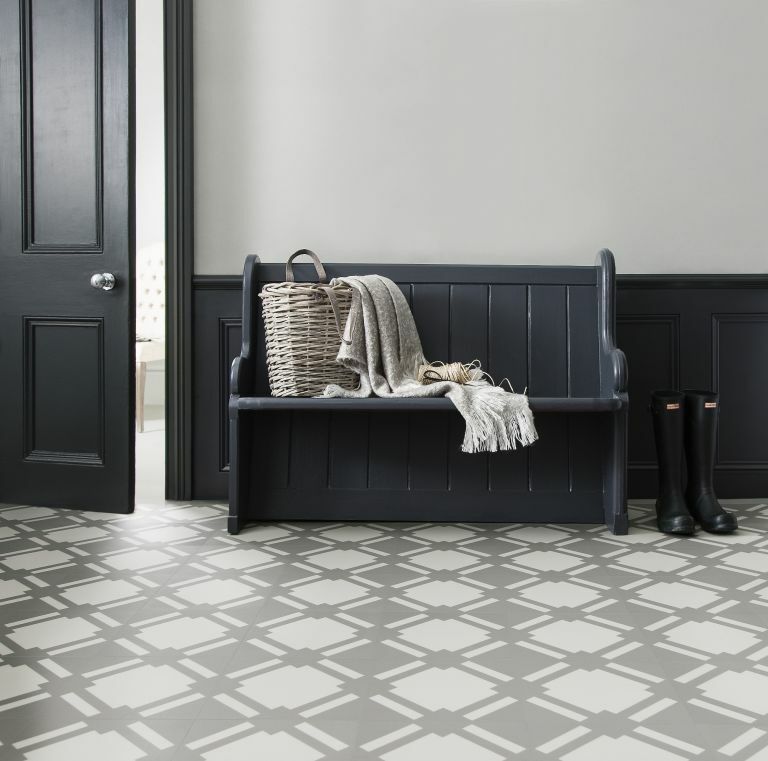 Consider practical boot room flooring, too – wipeable materials will be better looking for longer, while patterned flooring (think tiles or vinyl) will hide dirt more effectively. Looking for rustic boot room ideas? A storage bench with a comfy cushion and wicker pull-out baskets tucked beneath give this boot room a relaxed country feel. The built-in bench and wooden peg coat rack are painted in Lamp Room Gray by Farrow & Ball. Select boot room furniture that suits your space for all the benefits of a bespoke room at a fraction of the price. Clear clutter into the Pax wardrobe, add hanging space with the Kubbis rack, and store shoes in the Brusali shoe storage all of which are from Ikea. Pull out all the stops with generously-sized boot room storage that caters for every requirement. The practical bench is backed by tough tongue and groove panelling and is flanked by full-height cupboards, all painted to match. Choosing a paint for your boot room? Check out our pick of the best washable paints for the most practical choice. If space allows, a sink is a big plus, turning a boot room into a multi-purpose utility area. Opt for a tall tap with pull-out spray to make it super-practical. If a sink isn't an option in your boot room, have an outdoor tap install by the back door to hose down muddy boots, or dogs, or children (we are obviously joking about the children... kind of). Want boot room ideas to help you get organised? This tall elegant cabinet has been divided to give each family member a dedicated space for outdoor gear and shoes. A shelf with pegs provides extra storage for bags and scarves. When planning the position of coat racks, set them at a suitable height to encourage children to hang up coats and put away shoes. Here all options are covered, with a handmade shoe store at two heights, a double row of coat racks and overhead storage. If you don’t have the space or funds for a complete boot room, a hall stand includes all the elements needed in a one-off piece of furniture. This industrial version in mango wood with an iron frame includes a bench, shelf and hanging space. Tailor-made boot room furniture can be meticulously planned to fulfil every storage need and customised to suit the space, fitting neatly around any windows or doors. This boot room idea has full-height cloak cupboards, bench storage and slatted shelves to air and dry muddy boots. Modular storage can be arranged to suit the space then added to if your needs change; this furniture can be customised with a choice of colours and knobs. We love this arrangement from The Dormy House, you can choose from eight different gorgeous colours and there are so many different fabric options for the seat covers. Boot room storage arrangement, in French Grey, peg rail with shelf, both from The Dormy House. If you're looking for boot room ideas to suit a more traditional scheme, we love the idea of repurposing an old, antique (or even secondhand) wardrobe or armoire to create an enclosed space. This French mahogany armoire came from Ebay; its lack of doors makes it perfect for keeping boot room essentials within arm's reach, without feeling as though coats, shoes and other winter woolies are taking over the space. If you want your boot room to have a smart, cohesive feel, it may be worth opting for a storage solution that ties the rest of your scheme together. Painting an existing storage unit to fit with the rest of your scheme is one way to go – our guide to painting furniture provides plenty of tips. We love the way this gorgeous freestanding boot room from Washington Collection at LochAnna Kitchens complements the tones of this statement wallpaper. Don't have space for a boot room?